Kik Messenger is an instant messaging application for mobile devices from Kik Interactive. The app is available on iOS, Android, and Windows Phone operating systems free of charge. Kik Messenger is modeled after BlackBerry Messenger. Kik uses a smartphone’s data plan or Wi-Fi to transmit and receive messages. Kik also allows users to share photos, sketches, mobile webpages, and other content. Kik Messenger requires users to register a username. 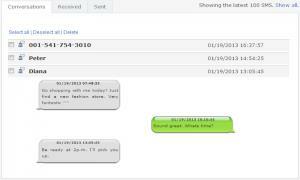 Need to Spy on a Someone’s Kik Messenger messages? Are you worried about the increasing social media activities of your children? Do you fear that your workforce is spending all its timing idling away on Kik Messenger? Do you want to find out what they chat about and who they are chatting with? You can get all of this information by simply installing TheTruthSpy into their phone. Once installed, the app will report all Kik Messenger chat activities to you. Just log in to your online TheTruthSpy control panel and you can access all the Kik Messenger chat details you need. Using a spy software program is the easiest way to spy on Kik messages. Although there are a handful of companies marketing substandard Kik Messenger spy programs on the market today, there exists a few genuine products as well that are worth considering. One of my favorite software to spy on Kik chats is TheTruthSpy which is known for its quality and top notch features. The other way How to spy Kik Messenger messages on Android phones is to write an app, to catch Kik Messages Notification(only incoming Kik messages). Beside you can catch Whatsapp, Facebook, Skype, Gmail… Notification. Using app Root Explorer to get database Kik app. Next PostNext Can WhatsApp Take The Spotlight As The New Marketing Channel?